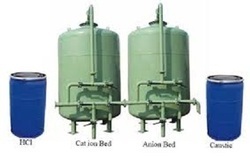 Our range of products include dm water plant, softener, sand filter, dm plants, automatic dm water plant - mixed bed and automatic dm water plant. 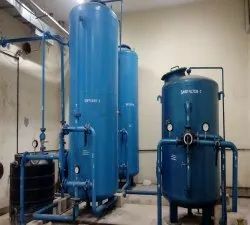 Water Softening, De - Mineralization / DM PLANT is designed for counter current regeneration efficiency. The unique design prevents resin loss while backwashing. The systems available are Double Bed and Mixed Bed - Up flow/Down Flow. The vessels are made out of FRP/PVC/MSRL/ SS 316 etc., as per customer's requirement. Quality resins are provided to ensure high-purity output water. 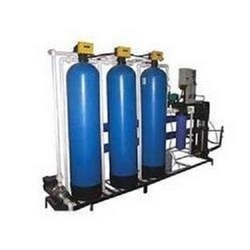 The Uni care DM plant purifies water by removing extraneous mineral ions from input water. The process of ion exchange is the reversible exchange of ions between a solid (synthetic resin) and a liquid in which there is no substantial change in the structure of the solid. As the water is passed through a series of resin beds, the ionic content is removed by chemical reaction. The result is chemically pure water, from the standpoint of freedom from ionic constituents, but non - electrolytes such as organic compounds and micro-organisms may not be removed. Systems are manufactured from MSRL, FRP, SS 316, Mild Steel etc. Standard models are available for a flow rate of 50 LPH to 1,00,000 LPH. Custom made models also available as per requirements. Use of excellent Ultra Safe quality resin gives high output. 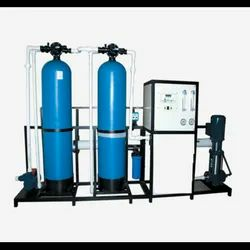 With an aim to fulfill the diverse requirement of our clients, we are engaged in offering a wide range of Sand Filter Plant. Looking for DM Plant ?